For every Thursdays, for the past one month, Ajith Kumar fans have been constantly have a big blast as there have been many promotional videos, songs and teaser released pertaining to the grand ‘Vedalam’. 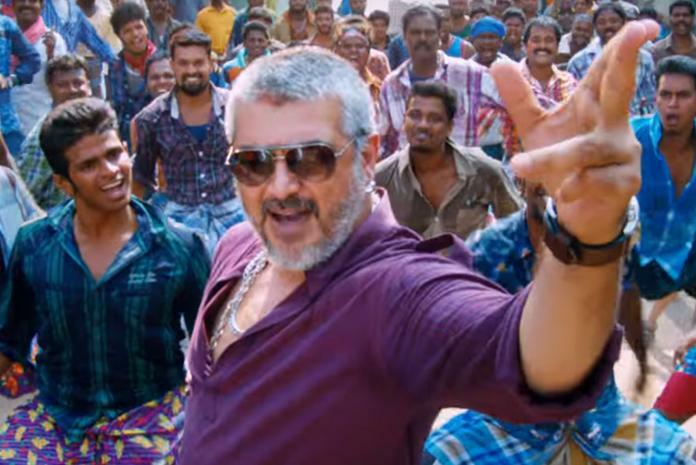 It is expected that the full length theatrical trailer of ‘Vedalam’ would be hitting the online portals tomorrow night as Auytha Poojai special. With all the ardent fans of Thala greatly enjoying to celebrate the moment, there hasn’t been any official confirmation to the theatrical trailer release. This has turned the fans so much distressed with the delayed release. Meanwhile, the theatre bookings for Vedalam have already commenced in Sri Lanka and this is the first ever time, a Tamil movie is getting released with early morning shows. It is also revealed that a major fight sequence in climax portion is yet to be shot, thereby making it difficult for the film to enter the Diwali race. However the crew assures fans that they will do their best to release the movie on time. The team is currently on a short break because Actor Ajith injured his leg on the sets and was advised complete bed rest by the doctors for at least a week. The crew is said to be counting on him to get back to work in a week so that they can shoot the fight sequences and some patchwork portions as well. The film is directed by Siruthai Siva and is produced by AM Ratnam with Shruthi Haasan, Lakshmi Menon, Kabir, Rahul Dev and many others in the star-cast. Anirudh’s songs have already made it bigger on the charts and there is one more sensational news about the inclusion of new theme music in this film.